Of course children find the Olympic mascots creepy. What were they thinking? 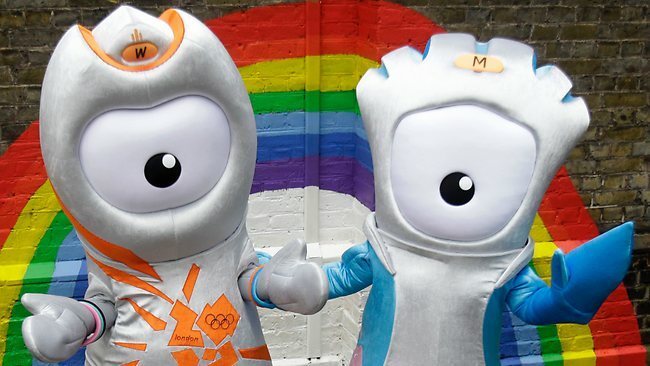 THEY were meant to inspire young people to engage with sport, but the London Olympic mascots have been branded too creepy for children. The one-eyed Wenlock and Mandeville – who were apparently born from the “last drops of steel” from the Olympic Stadium – were the product of an 18-month creative process using more than 40 focus groups. Scores of giant statues of the creatures are about to be unveiled across London as part of a $48.5 million (STG 32m) makeover to drum up enthusiasm in the run-up to the Games. But the Cyclops-like cartoon characters have faced a barrage of criticism online. In merchandise reviews for the mascots on Internet shopping site Amazon, buyers have called the creatures “menacing” and “terrifying”. “Like a nightmare, this evil eyed monster stares straight into your soul looking for the slightest weakness,” reviewer Mr Nicholas Shearer wrote. This entry was posted on July 6, 2012 at 3:32 pm and is filed under Child Welfare. You can follow any responses to this entry through the RSS 2.0 feed. You can leave a response, or trackback from your own site.